NextOfficial opening of the Eiffel Tower. Ali Barter is definitely a breath of fresh of air in my town! Though I have to admit I didn’t know much about Ali at first, except for the fact that her debut album A Suitable Girl – taken from Vikram Seth’s novel A Suitable Boy – is one of those pinch yourself moments, when you can’t believe how good an album can be. I won’t say it’s a throwback to the sounds of 90’s rock, but it bares all the hallmark sounds of blistering guitars that I love about alternative and indie rock from that era. 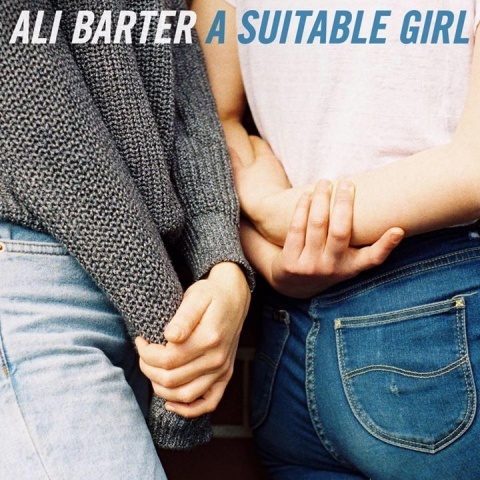 Inundated with an authenticity of lyrics that capture real emotions, Ali Barter has also it seems succeeded, like many great female artists before her, to make us sit up straight and listen to what she has to say. That said I decided to investigate a little further and discovered that not only does Barter use her vehicle (music) to express equally her frustrations and passions, but she also believes strongly in her own message. What I also love about Barter musically is her guitar playing. She seems to effortlessly strum cords and write straight forward melodies that give rise to songs with real feeling. Refreshing is also her cause to bring our attention to the underrepresentation of women in music. On a personal level, it is one of the reasons why I have focused more recently here on Women in Music. In truth, I’d stand alongside Ali Barter any time to help her celebrate the long list of amazing female artists. I decided recently to reach out to Ali in the hope that we could share a brief conversation about some of the things I have mentioned above. So imagine my surprise when Melbourne-based Barter replied to my email! Anyway, without any further ado, I’d like to introduce to my wider audience, musician, singer and performer Ali Barter. I love that you celebrate the stories of women in music on your Facebook page. Something that I have in common with you is that I too celebrate women’s history, and more recently ‘Women in Music’ here. If I could ask you Ali, who are your role models? What about them do you admire? While a majority of female artists I listen to come from oversea, I always have an ear out for what is happening here. My favourite Australian artists include Kate Miller-Heidke, and Lisa Mitchell, and more recently I discovered the amazing Olivia Bartley (aka Olympia). Who would you recommend that I should also be listening to? What in your music career (thus far) has brought you or given you the greatest fulfillment or satisfaction? I have always been a Madonna fan (from way back). What It Feels Like For A Girl is one of my favourite songs that addresses issues about double standards facing women. I believe you have faced your own drama about what is expected from you as a female performer? How do you manage to rise above the double standards? In a life enriched by the women in my own life, I had come to embrace all things beyond a male point of view. That said, your song Girlie Bits is definitely something that I can identify with. Was it always your intention to make the song so inclusive to both sexes? Ali, we both share something in common. It seems we both love Alanis Morrissette’s Jagged Little Pill. I still marvel at how incredible that album was and the legacy Alanis left for female performers in general. As an advocate of female empowerment, she is unapologetic and a proud feminist and that’s what I STILL love about her. Is there a little bit of Alanis that has rubbed off on you in terms of your own advocacy work? I can honestly say that I can’t decide which is my favourite track on your album. Though if I had to pick a few standouts – Girlie Bits, Toyko and Far Away – are pretty damn good. But the album as a whole is really quite solid and I think that is a reflection of a new maturity you have found as a singer songwriter. Does that come with experience or are there other factors that come into play? I read somewhere that you have been compared to the likes of Juliana Hatfield, Liz Phair and a promising P.J. Harvey. How do compliments like that sit with you? Finally, what do you love most about touring, especially this time around promoting A Suitable Girl? Do you get nervous about what’s coming next? Photo Credit: The press photo of Ali Barter is copyrighted Hannah Markoff/Supplied by Barter’s team. It cannot be used without their expressed permission. I am not the uploader of You Tube clips embedded here.